March 19 – With the end to the prohibition of online sports betting in the US, sports now starting to see the licensing of digital gaming operators, sports bodies have been quick to seize the marketing and sponsorship opportunities. 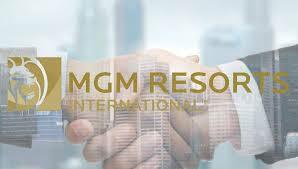 The MLS has signed a four-year, non-exclusive deal with MGM Resorts Int’l to be the league’s first official sports betting partner. The deal is part data and part promotion with MGM Resorts getting access to enhanced MLS stats for fans and sports betting customers, as well as digital promotion. That will include event activation as well as integration on to the MLS’s digital channels as well board signage on TV games. MLS and MGM will also jointly develop a free-to-play game to be released later this year. MGM, which has made a big play in sports already via deals with the NBA, NHL and MLB, will also work to bring football events to Las Vegas. While betting sponsorship is a new category to the MLS, it will likely be its fastest growing with league discussions to allow clubs to negotiate their own sponsors with branding positions on club shirts.